Hello and welcome back! 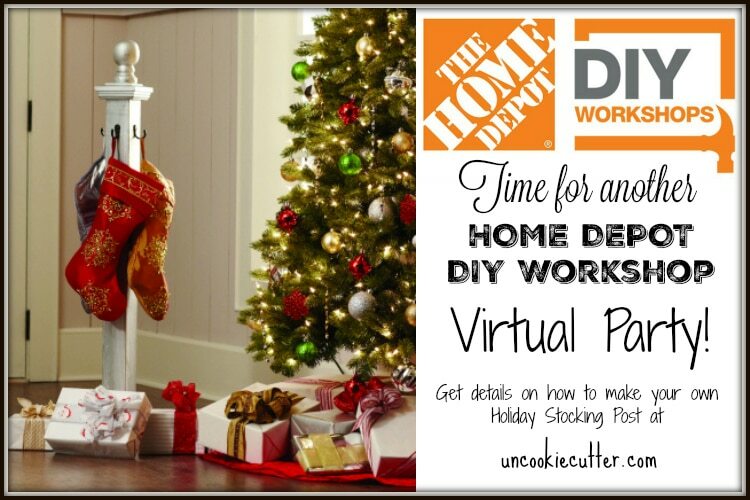 Have you had a chance to check out The Home Depot DIY Workshops yet? For one of the fall workshops, I shared my Rustic Wheelbarrow that I made and decorated my whole porch around. This time around I’m partnering with Brad Rodriguez from Fix This Build That and The Home Depot. We are sharing how to make some cool Holiday Stocking Posts which are great if you don’t have a mantel but still want to have your stockings! 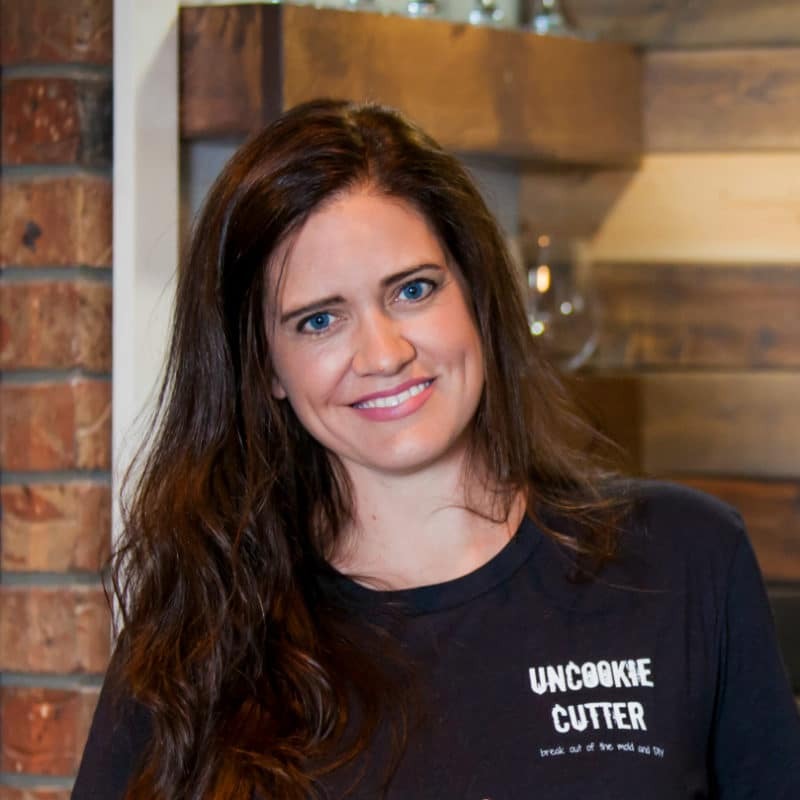 The Home Depot DIY Workshops teach customers how to build, make home decor projects, use tools and more at all of their locations and for all experience levels. There are 3 types of workshops – DIY (do it yourself), DIH (do it herself) and kids workshops. Click HERE to find a location and class near you! 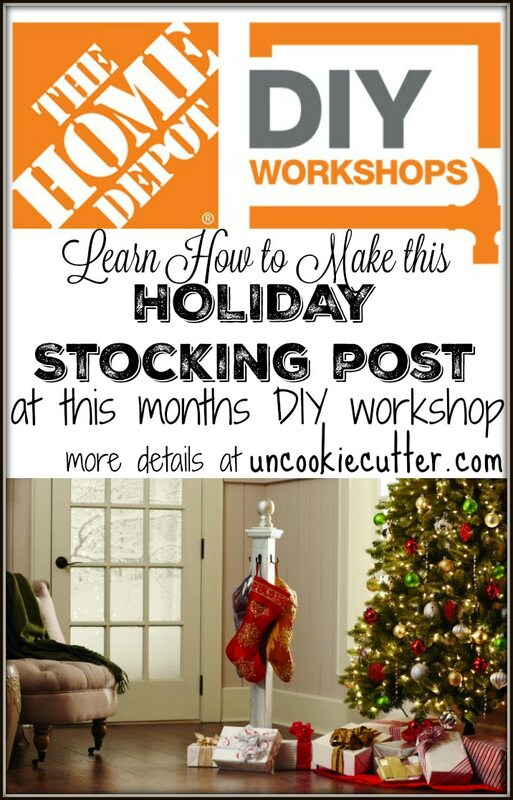 For this project, a group of us are going to make our own customized version of this holiday stocking post. Isn’t that cool? I think these stocking posts are a great unique option if you don’t have a mantel, or even if you do! I can’t wait to show you what I came up with. 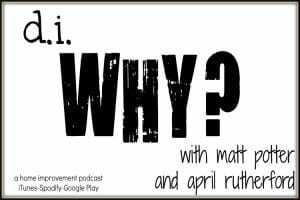 Come back and visit next week to see mine and all my blogging friends own versions as well as details on how we made them. *I am partnering with The Home Depot for the purposes of promoting their DIH workshops. I received compensation for this posts and all associated posts but I really do think this is a great way for people to start using power tools and learn fun stuff. All opinions in this and all my posts are completely my own. Thanks so much for stopping by. Be sure to come back next Monday to see what I did and find a class near you HERE!